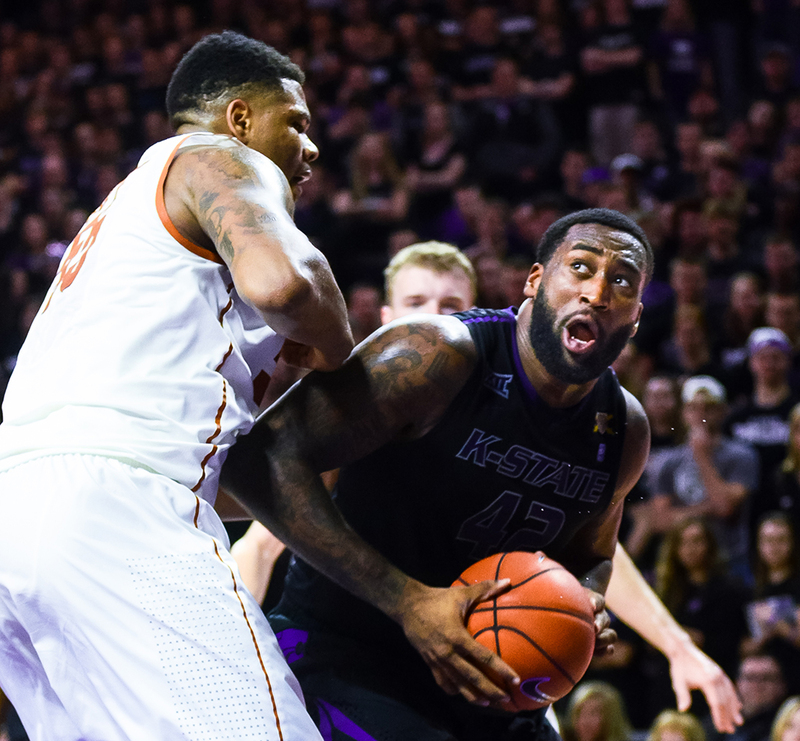 K-State men’s basketball continued to struggle in the state of Texas Saturday, as the Wildcats were upended by the Texas Longhorns 62-49. The Wildcats (15-16, 8-10) were without senior forward Nino Williams and sophomore guard Jevon Thomas. Williams missed the game due to personal reasons. 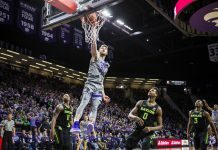 Thomas, meanwhile, appears to be in limbo with the team, as K-State head coach Bruce Weber told reporters after the game that he will have to talk to the coaches if he wishes to be reinstated with the squad. The duo of sophomore guard Marcus Foster and senior forward Thomas Gipson picked up the slack. The two scored 15 points each. Gipson pulled down 11 rebounds; Foster added three rebounds and three assists. K-State’s shooting struggles spanned the whole game. The Wildcats finished shooting 36.4 percent from the field, including 20 percent from long range. The long-range production stalled in the second half particularly, with the Wildcats failing to make a shot from behind the arc to close the game, finishing 0-6 from deep in the closing minutes. Down low, K-State was overmatched. Texas finished with 14 blocks, including 10 in the first half. Gipson managed to score in double-digits, but the rest of the Wildcats struggled to finish shots near the rim due to Texas’ size. Four Longhorn players finished scoring in double-figures, led by sophomore guard DeMarcus Holland with 12 points. K-State is now the No. 8 seed at this week’s Big 12 Tournament in Kansas City, Missouri. 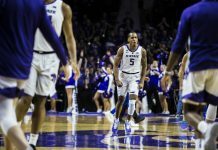 The Wildcats will play TCU on Wednesday, with the winner set to matchup with Kansas on Thursday. A team either wins the Big 12 Tournament or it doesn’t. There are no moral victories. Still, head coach Jeff Mittie and his K-State women’s basketball squad sure left Dallas in commendable fashion. The Wildcats downed in-state rival Kansas for the third time this season, 57-49, in the first round of the Big 12 Women’s Basketball Tournament Saturday. They then turned around Sunday and gave No. 1-seed Baylor a run for their money. Down double-digit multiple times Sunday, including a 12-point deficit with nine minutes to play, K-State scored six-straight points to cut Baylor’s lead down to 73-67 with 2:52 to play. 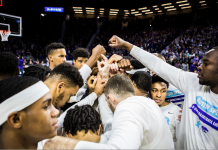 The Wildcats were unable to gain additional ground, though, falling 82-70, but the final score did improve upon 30- and 22-point losses to the Bears earlier in the season. The team was led by senior guard Haley Texada who tied a career with 25 points and four steals. Texada kicked off the tournament with 17 points, six rebounds, three assists and two steals against Kansas. K-State finishes their regular season and Big 12 Women’s Basketball Tournament appearance 18-13 on the year. An NCAA Tournament at-large bid is unlikely, but not completely out of reach. If the Wildcats are not picked for the big dance, they are a likely candidate for the 2015 WNIT.